Are you (or your significant other) still close with your ex-girlfriend or boyfriend? Do you still spend time together, talk, visit and have an active role in each other’s lives? Need help planning & paying for your wedding? 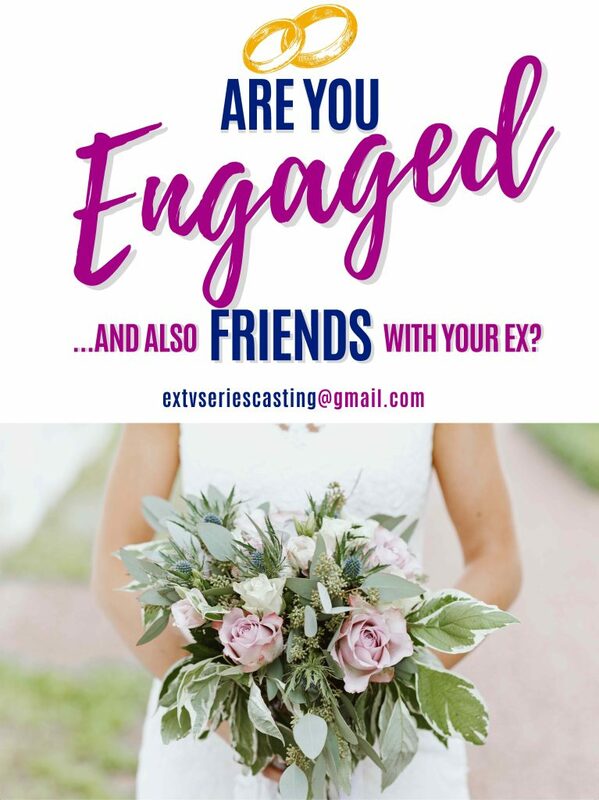 A major TV network and award-winning production company are currently casting engaged couple’s where one or both members still have very close relationships with their ex-boyfriends or girlfriends. Selected candidates will be PAID and have the opportunity to star in a brand-new documentary series on a major network! NOTE: If you are you not yet engaged BUT in a serious, long-term and committed relationship please still apply! Name/Age/Location (City & State) brief bio about your current relationship and relationship with your ex, photos of you, your partner and your ex. This casting notice was posted by: Paul Head- Casting Director.